We offer an acrylic cut to size service, with a 24 - 48 hour turnaround cut service wherever possible, exceptions do apply. 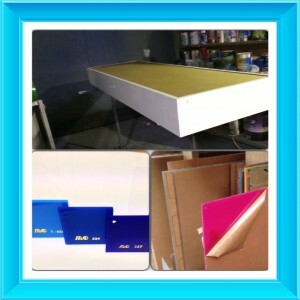 We stock a wide variety of colours and thicknesses of acrylic. If you are after a colour or thickness that's not on the site, drop an email through to enquire, at simon@showcaseplastics.com.au. Wherever possible we will assist. Whether you have your own light box, and perhaps need an opal panel, or for any other millions of reasons take a look @ www.cuttosizeacrylicmelbourne.com.au. With an instant quote online calculator at your 24 hour disposal - you don't have to wait until business hours to get that price. Better still you can even place an online order, and if wanting delivery just include it with the order. A simple and effective use of cut to size acrylic and comp panel. Art dressed elegantly and with sophistication.